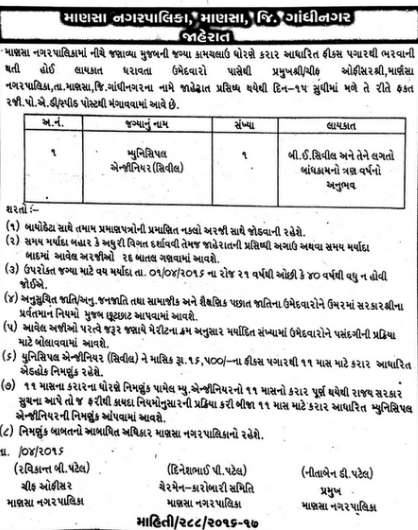 Mansa Nagarpalika has published a Advertisement for below mentioned Posts 2016. Educational Qualification : B.E. Civil and 03 years experience in construction field. Salary : 16500/- per month. Address to sent Applications : Head/ Chief Officer's Office,Mansa Nagarpalika, Mansa, Gandhinagar.